I don’t know very much about Minecraft, but what does “TP a kid” mean? It’s Minecraft jargon for teleporting. The world is big and sometimes a kid might be in one place but wants to join his friend in another place and teleporting is the easiest way to get there. 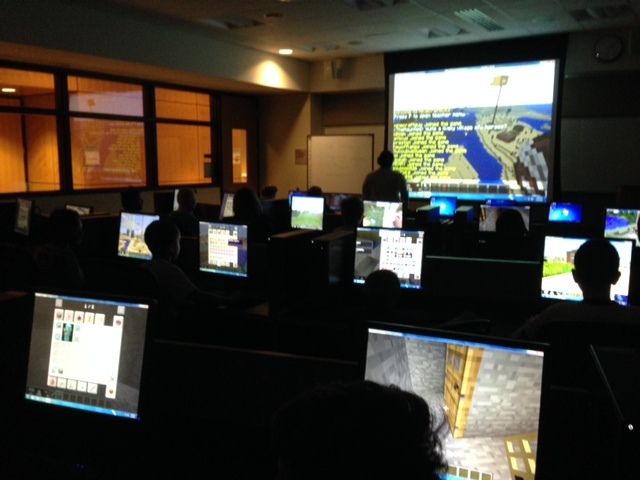 In MinecraftEdu, teachers are the only one who has the ability to teleport, so if I’m logged in as a teacher, I can teleport kids to their friends.